Here’s a quick way to make life easier for your customers. Keep them apprised of the next steps in their customer journey. Super Shuttle, a nationwide airport shuttle service, put a smile on my face and removed the risk of stress in my life by merely keeping me apprised. As I was gathering my things and heading out of the keynote ballroom, my iPhone buzzed. It was a text from Super Shuttle. They texted to give me my vehicle number and a link for me to track my shuttle. I had a very short window of time to get back to the airport for my flight, and it was rush hour in Austin. This text with tracking information certainly made life easier for me. I entered the hotel lobby area and took a seat to wait for the shuttle. Another text arrived. Proactively keep your customers apprised. When you do, you’ll put them at ease, build trust and reduce customer stress. Imagine sitting in a local coffee shop that’s nestled in a bookstore, and talking over a latte with Myra about ways to help your employees deliver the best possible customer experience and ideas to help reduce stress on your employees as they deal with demanding customers. 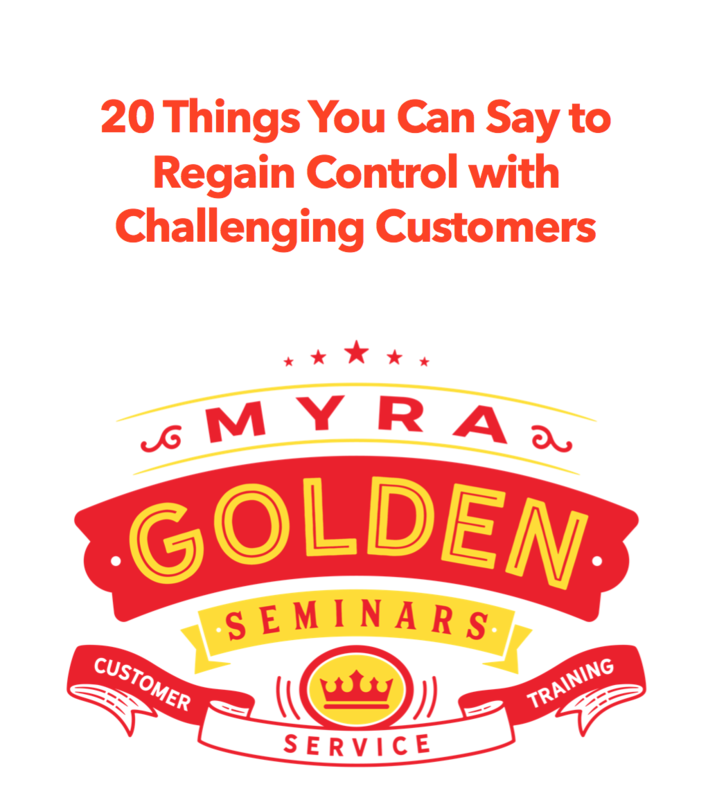 Every week, often literally from a coffee shop, Myra gives you ideas that in one way or another are actionable towards improving your customer experience.